Tesco Extra, which occupies a good site in Fairacres Retail Park, is situated on Marcham Road, about a 0.96 mile drive west from the centre of Abingdon (just off Marcham Interchange/A34). People can easily come here from Shippon, Caldecott, Northcourt, Abingdon and Culham. If you'd like to drop in today (Monday), it's open from 6:00 am until midnight. Here you may find hours of business, location info or contact number for TESCO Abingdon, Marcham Road. Visit this Tesco Extra branch immediately near the Marcham Interchange (Marcham Road, A34), in Abingdon, Oxfordshire, at Fairacres Retail Park. Simply a 1 minute trip from both A34 and Marcham Road/Ock Street. Those using Sat Nav systems should use the following postcode for this location: OX14 1TU. Take a bus ride to Fairacres. Nearby routes include the 31, 43 and X15. Nearby you can visit Albert Park, Abingdon Community Hospital, Chaunterell Way Playpark, Abingdon Footpath Number 1, West End Allotments and Fairacres Retail Park. TESCO now operates 3 supermarkets in Abingdon, Oxfordshire. For all TESCO locations near Abingdon, go to this link. Over public holidays, typical hours of operation for TESCO in Abingdon, Marcham Road may be revised. For the year 2019 it involves Xmas, New Year's Day, Easter Monday or Summer Bank Holiday. 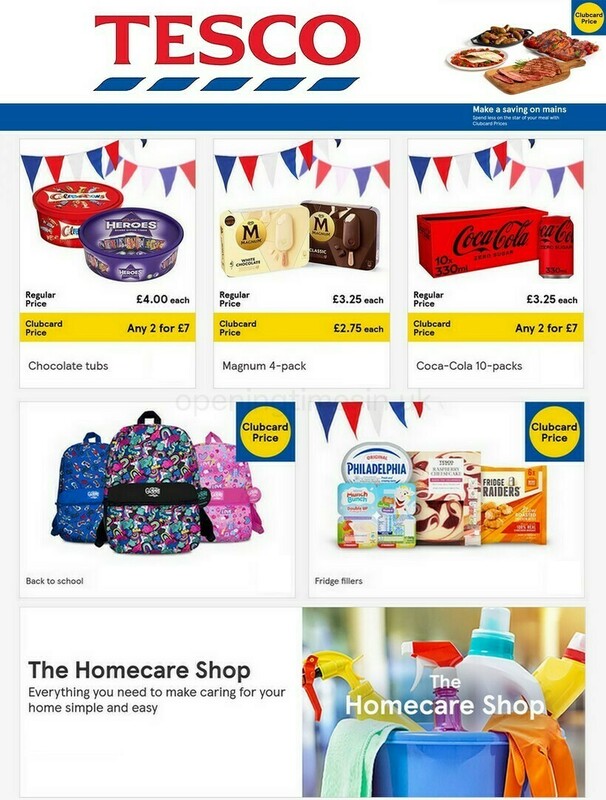 To get specific info about holiday business hours for TESCO Abingdon, Marcham Road, visit the official homepage or call the service number at 0800 50 5555. Disabled parking facilities are available. An induction loop has been installed in our store. Facilities are available for people with hearing impairments. Fully accessible toilets are available within our store. Facilities are available for people with mobility impairment. Wheelchair assistance is possible in our store. Assistance dogs are welcome in our store. Facilities are available for people who are visually impaired. Including large print and braille. Please be sure to look in on the additional quality stores at Fairacres Retail Park. At this centre additional vendors include Argos, Furniture Village, SUBWAY, ALDI, B&M and Homebase. It is the Opening Times in the UK team's main objective to provide you with the most up-to-date information. If you know that the location description or working times for TESCO in Abingdon, Marcham Road are incorrect or have changed, please inform us by utilizing the report a problem form. Support potential customers by ranking TESCO with the star scale. You can also submit your critique in the space provided below.